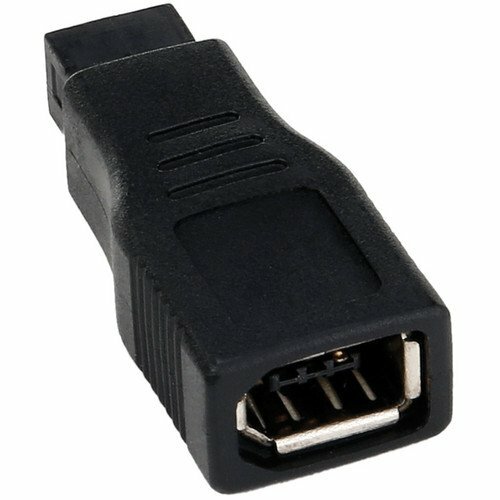 Pearstone 6-pin FireWire-400 to 9-pin FireWire-800 Adapter | Replicafer Co.
Super Savings Item! Save 36% on the Pearstone 6-pin FireWire-400 to 9-pin FireWire-800 Adapter by Pearstone at Replicafer Co.. MPN: AFW96. Hurry! Limited time offer. Offer valid only while supplies last. The 6-pin FireWire-400 to 9-pin FireWire-800 Adapter from Pearstone allows you to plug a 6-pin FireWire-400 device into a 9-pin FireWire-800 port. The 6-pin FireWire-400 to 9-pin FireWire-800 Adapter from Pearstone allows you to plug a 6-pin FireWire-400 device into a 9-pin FireWire-800 port. This adapter provides a great option for connecting a FireWire-400 peripheral like an external hard drive, video card, audio interface, printer, scanner, DV camcorder and more to an available FireWire-800 port. If you have any questions about this product by Pearstone, contact us by completing and submitting the form below. If you are looking for a specif part number, please include it with your message.